Bringing back Miracle Strip and the Starliner! Panama City Beach, November 22, 2013 - "Today we&apos;re going to see the beginning of the return of Miracle Strip Amusement Park," announced Panama City Beach Mayor Gayle Oberst at the groundbreaking ceremony for Miracle Strip Pier Park&apos;s new, larger location adjacent to the current address of 400 Pier Park Dr.
Teddy and Jenny Meeks began Miracle Strip&apos;s comeback in 2009 by bringing a 1964 carousel to Pier Park. It was the same exact carousel that had been sold when the original Miracle Strip Amusement Park closed in 2004. 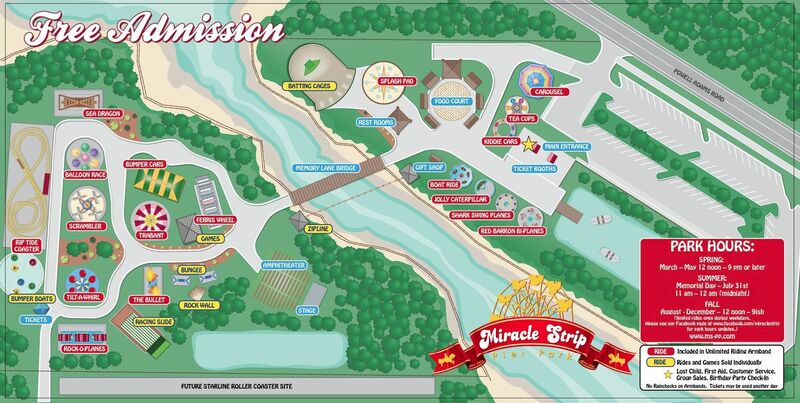 A mix of family-friendly entertainment and happy nostalgia, the vintage rides at Miracle Strip Pier Park soon multiplied, as other rides joined the party, including a Ferris Wheel, a Tilt-a-Whirl, the Sea Dragon, a Scrambler, a Butterfly Pavilion and more! With 10 great rides to choose from, Miracle Strip Pier Park is long on fun, but short on space, so the Meeks decided to expand. Although they aren&apos;t moving far, they&apos;ll have far more room to bring new rides to the park, and announced that when the new park opens in April 2014 there will be more than 20 rides to choose from! But perhaps the biggest news is the return of the famous Starliner, the classic roller coaster that thrilled riders at the original Pier Park. But back to the present - Miracle Strip Pier Park will stay open in their current location from 12 - 9 p.m. daily through the New Year&apos;s Eve Beach Ball Drop to close out 2013. Then, on January 2, 2014, they&apos;ll begin to make the move to their new, bigger location adjacent to Pier Park. The plan is for Miracle Strip Pier Park to re-open in late Marcy/Early April, 2014 with 20 rides. Construction on the Starliner is set to begin in August of 2014 and be ready for riders by the summer of 2015. 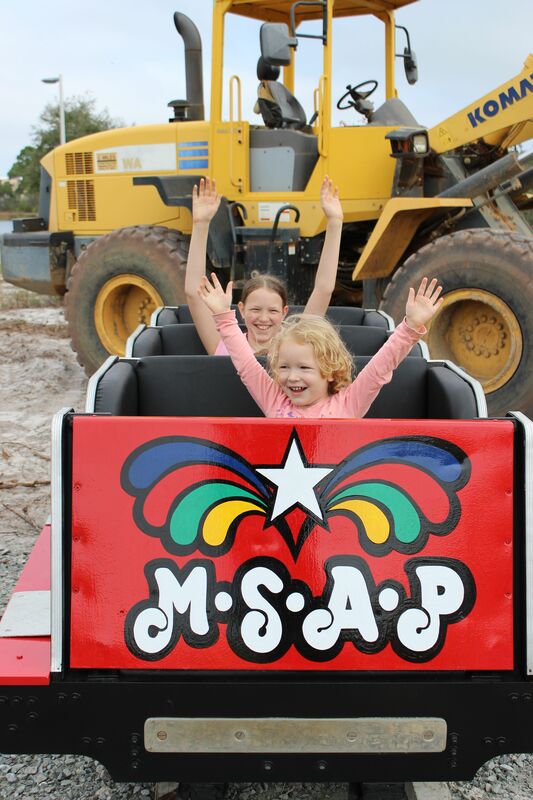 Many of those who attended the ground breaking Friday expressed their joy at the prospect of reliving the thrills and fun they remembered from the rides in years past, while parents were already looking forward to sharing their experiences with the next generation. And the kids? The kids are ready to ride some rides, just like always!